October was Breast Cancer Awareness Month, and the month of November is dedicated to lung cancer awareness and prevention. Even though lung cancer is rare in children, it is important to know the signs and symptoms of the disease. 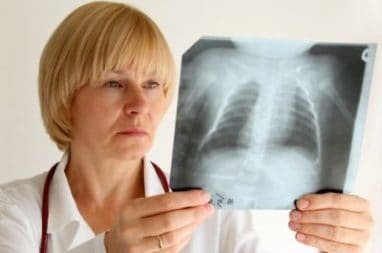 It is also important to take precautions early on in life to decrease your child’s risk of ever being diagnosed with lung cancer, or any type of cancer at all. Typically, tests will be used to make a diagnosis. Tests will include a physical exam, chest x-ray, and CT scan. If lung cancer is diagnosed, surgery is usually the first action, but it does depend on the type of tumor and whether or not the tumor has spread. Children and adults can both lower their risk of developing lung cancer by avoiding secondhand smoke, not smoking or quitting if you do, and having your home tested for radon. The second leading cause of lung cancer is radon, which is a naturally occurring gas that comes from rocks and dirt. It can get trapped in homes or buildings, which can be life-threatening to residents. According to the Centers for Disease Control and Prevention, smoking causes about 90 percent of lung cancer deaths in men and women and nearly 80 percent of lung cancer deaths in women in the United States. In the United States alone, about 3,000 people will die this year from lung cancer because of secondhand smoke, even if the person has never smoked a day in his or her life. Other substances can cause lung cancer, such as asbestos, arsenic, diesel exhaust, and even some forms of chromium and silica. Radiation therapy to the chest also increases the risk of lung cancer, especially for cancer survivors who have previously been treated for Hodgkin’s disease. Women with breast cancer who have been treated with radiation after a mastectomy also have an increased risk of developing lung cancer. Family history also contributes to the development of lung cancer. If you have relatives with lung cancer, your risk is increased, and this could be because families often share the same types of environments. Maybe you are being exposed to smoke, radon, or other harmful substances that can cause lung cancer. You can help to brighten a child’s life during Lung Cancer Awareness Month. Whether a child has lung cancer or another critical illness, you can help to grant the wish of a child between the ages of 2 ½ and 18 when you donate a car to Wheels For Wishes, benefiting Make-A-Wish. Your car donation helps to bring hope, strength, and joy into the life of a child, and they will have their greatest wish granted. Maybe they will wish to swim with the dolphins in Florida, or visit Disney Land in California. Maybe they will wish to see a local attraction or meet their favorite sports player. Whatever a child wishes for, Make-A-Wish sees that it happens. To donate a vehicle that will help to fund the wish of a child in your community, please call 1-877-431-9474 or fill out an online donation form. Your vehicle will be picked up or towed away nearly anywhere in the United States, and you can help to make a wish come true for a local child in your community. Plus, you receive a great tax deduction, just in time for the New Year. Donate your car today!